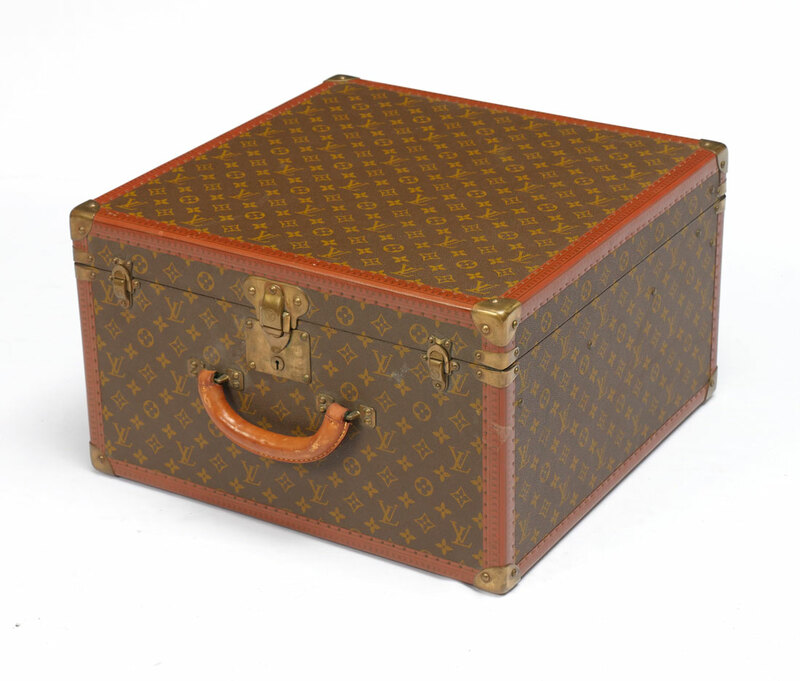 VINTAGE LOUIS VUITTON MONOGRAMMED HAT BOX- Monogrammed LV logo embossed on Signature brown leather. 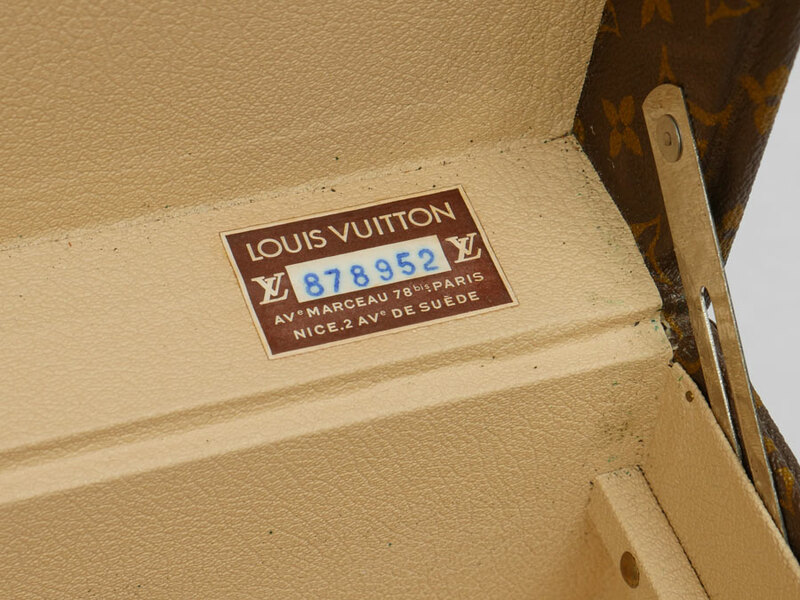 Brass hardware engraved with LV logo and features one leather handle. Two keys and keyhole stamped 124736 with leather key holder. 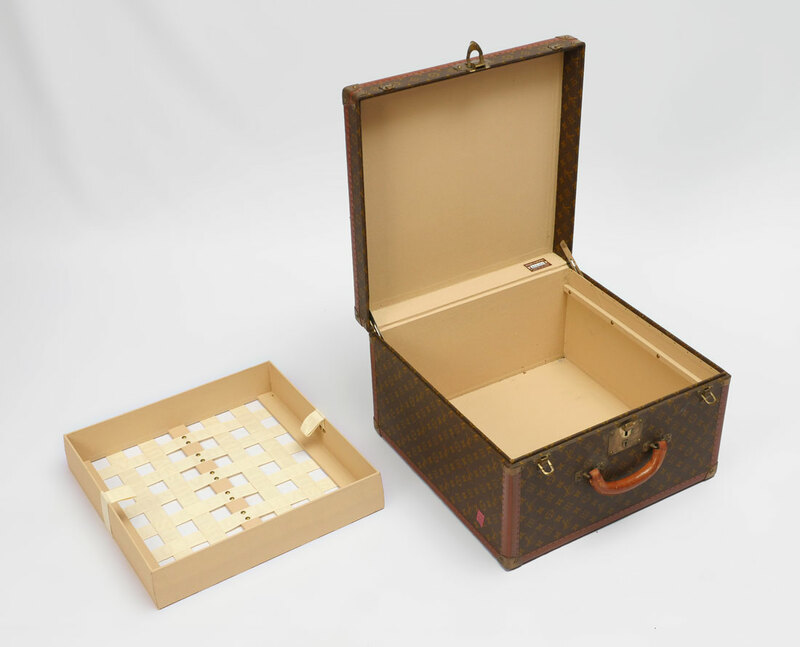 Leather trim around box stamped with LV. 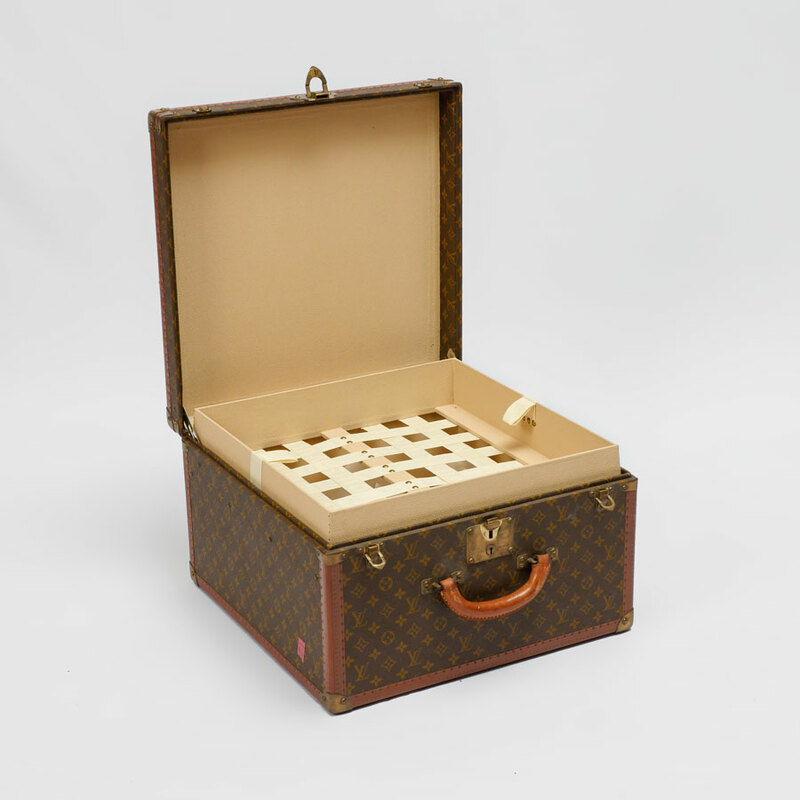 Box Features a removable webbed basket. ID reads 878952 Av Marceau 78 Paris Nice 2 Ave De Suede. CONDITION: In very good condition for its age.